Once again, Agra organises a Christmas party for the children of the Havana-Soup-Kitchen; this time held at a petting zoo. The children spend a wonderful day and receive presents from a very generous Father Christmas. The Mother Bear Project, founded in 2003 by Amy Berman in the USA, made it its mission to give as many children around the world their very own handmade teddy bear. So far the project has managed to make and distribute over 69,000 bears. In October 2011, Fr. 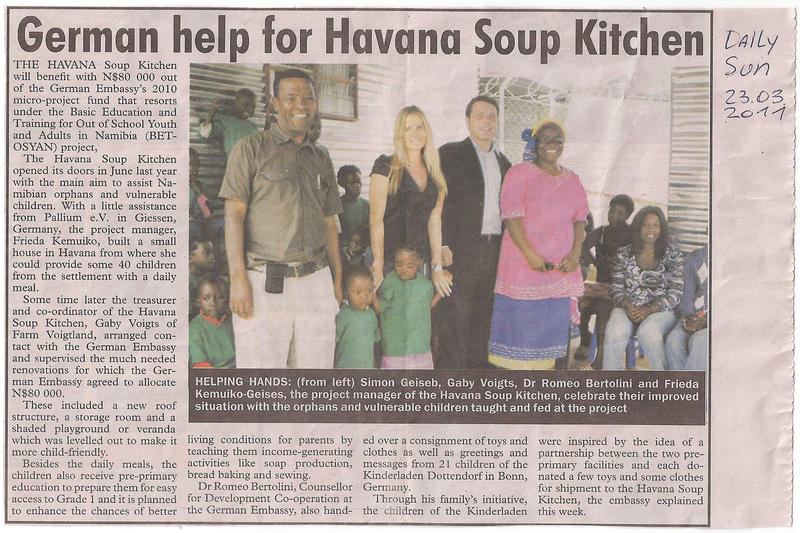 Berman herself visits the soup-kitchen to give the children 40 handmade teddy bears. Through their own initiative, a dry-toilet is bought and built on the soup kitchen premises. It is wintertime in Namibia. Agra continues to support the soup kitchen by giving them 40 warm winter blankets and food for this cold season. 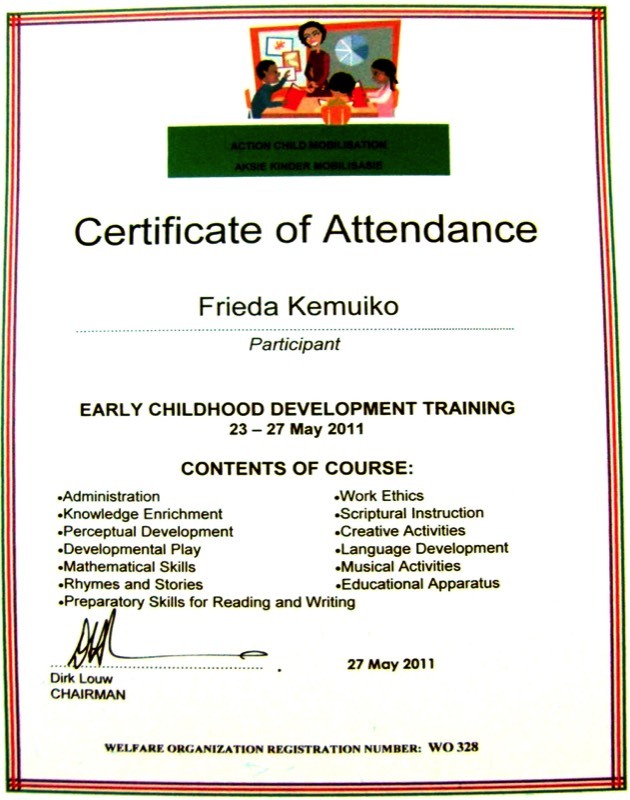 Frieda takes part in a course dealing with early childhood development. 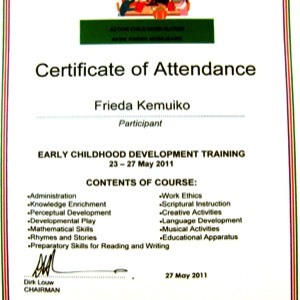 She completes the course as top of the class. 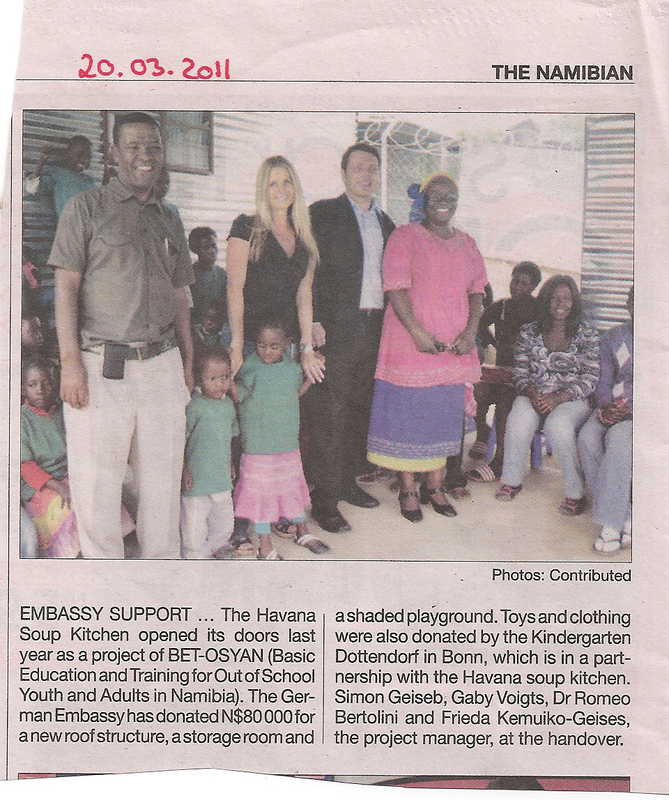 The new premises, made possible by a very generous donation from the German embassy in Windhoek, are inaugurated. 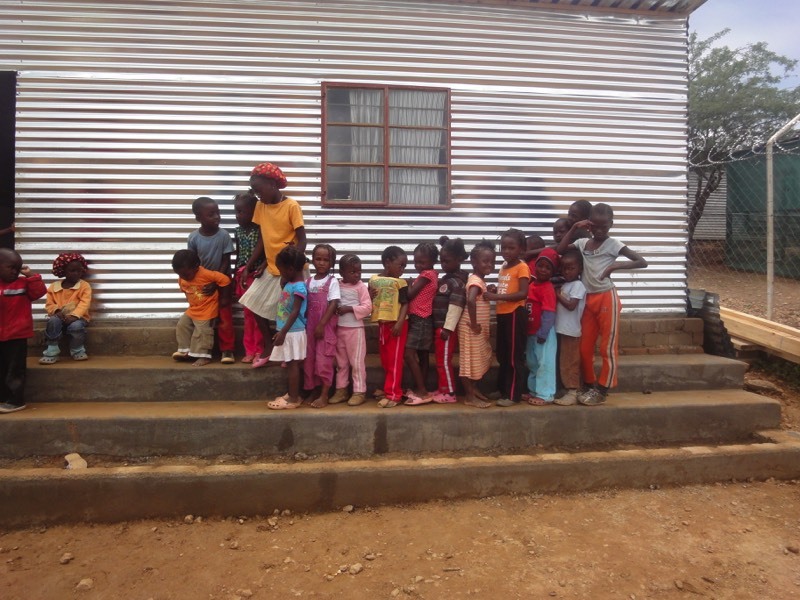 The donation allowed to build up a new waterproof roof, a storage shed and a roofed veranda. The sloped ground is evened out – the cement steps can be used as a second classroom and common area for enjoying meals together. Opening in the New Year. Some of the children have passed the Examinations for school. The project can take on new children. Construction begins: roof renovations, levelling out the ground, erecting the shade-roof and the storage shed.